Whether you need a pair of sparkly sandals for a formal occasion such as a wedding or a casual occasion, glitter sandals is a nice, fashionable and dressy option to go for. So, here we have selected to review some of the best glitter sandals for women in various styles. 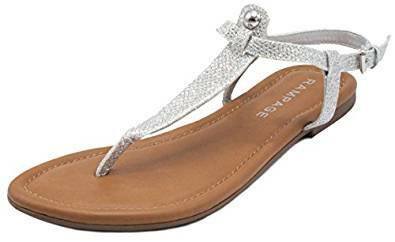 This spark wedge sandal by Dream Pairs is an elegant and modern glitter sandal which can be worn on various occasions, casual or less casual. 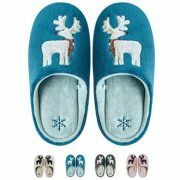 It comes in many beautiful colours and features a cushioned footbed, a heel of one inch, a rubber outsole with grip and elastic strings which allow for an easy on and off. Users find these sandals super cute, sparkly, dressy and quite comfortable. Nevertheless, there have been some mixed reviews about their durability. Also, if your feet are on the larger side, you may want to order half or one size up. These Bohemian Glitter Sandals come in various styles and colours. They feature a t-strap of manmade leather with glitter rhinestones as well as soft lining, memory midsole and a slip resistant outsole. 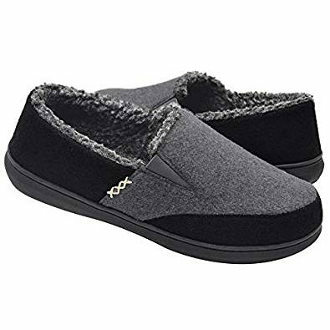 The company notifies that this footwear runs true to size but if you have narrow feet, they recommend ordering next size down. 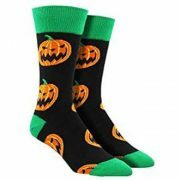 Half sizes are also available. 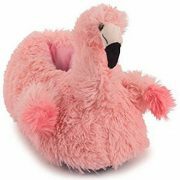 Users like the fact that these inexpensive shimmer sandals are true to size and also that the foot bed feels comfortable and soft. If you have concerns regarding the width, you may need to order a half size up. 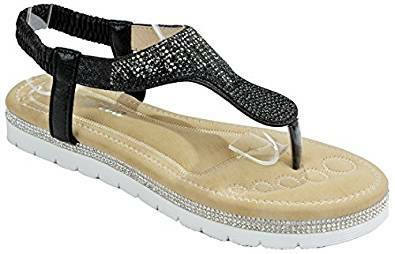 These glittering rhinestone sandals come in many different designs with a low wedge heel and a mid wedge heel. The platform varies from 0.5″ to 0.25″. 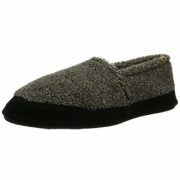 Other features include a cushioned insole, a slingback which is stretchable, and a rubber outsole. 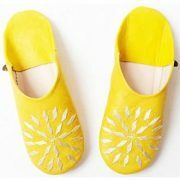 Users find these sparkly sandals to be stylish, cute, comfy and dressy. According to people’s reviews, they are true to size. They are also great price. 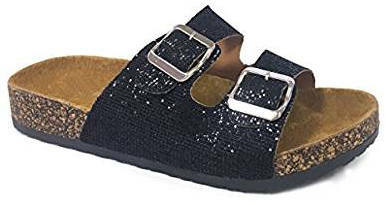 These cute flat lightweight sandals come in various designs and glitter combinations such as black glitter, blush champ glitter, silver glitter and tan gold glitter. 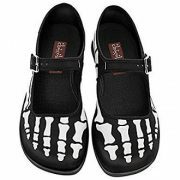 They feature an insole which is lightly padded, an ankle strap with buckle closure and a rubber outsole which is flexible. 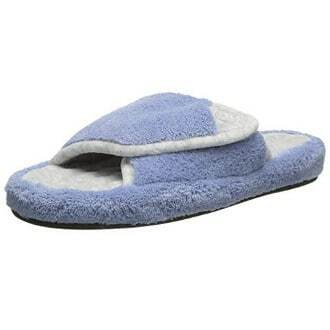 Users love the looks of these sandals and find them comfy and soft. 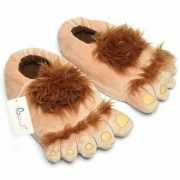 They fit well, for people with wide feet as well, and are very affordable. The only disadvantage, though, according to reviews relates to the durability of this shoe. This SNJ sandal can be accurately described as a cheaper Birkenstock version. It comes in black glitter, royal blue glitter, pewter glitter, purple glitter and bronze glitter. The material is synthetic and the outsole is rubber. 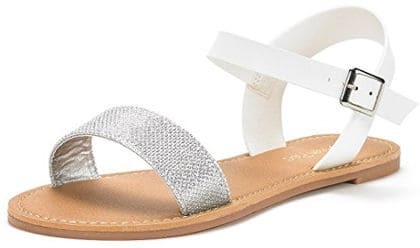 There are some mixed reviews about these shiny sandals with some people finding it comfy and cute while others saying that it is not comfortable and looks like a low quality sandal. These glitter thong sandals by Kate spade look very pretty and well made. 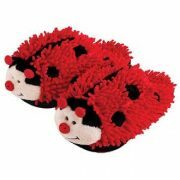 They come in four glitter variations and feature a leather footbed and a synthetic sole. The double-loop bow looks very cute and sparkly. Users love the fact that these sparkling bow sandals are super adorable, comfy and well made. 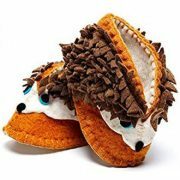 They can be worn with anything and people say that they can accommodate wider feet as well. 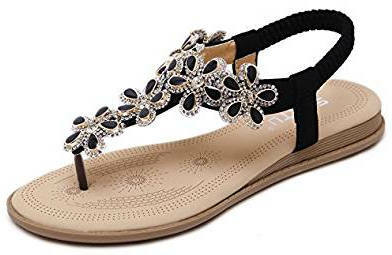 These lightweight casual sandals are available in various designs including glitter ones such as silver glitter, blush glitter and gold glitter. 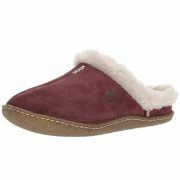 They are flat and feature a padded foot bed, an adjustable ankle strap and a rubber outsole. 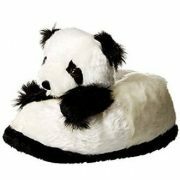 Users like the style of this cute footwear and find it good for different occasions. It runs true to size and the price is very reasonable as well. This glitter rhinestone beaded sandal by DolphinBanana features a light padded footbed, a memory midsole and a gum rubber outsole. Users like that these very glittery sandals fit well and are true to size. They are also very pretty and the padding is nice. Some people, though, have found that the thong material feels a bit uncomfortable. These sparkling gladiator sandals feature a glitter upper made of synthetic material, a t-strap with buckle closure, a lightly padded foot bed and a rubber outsole. They come in six different colours. 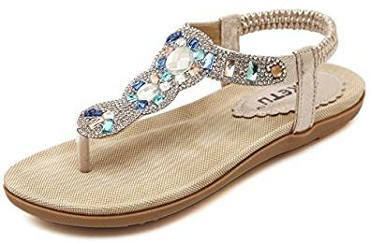 Users say that these very affordable jewelled sandals fit great and look very pretty. 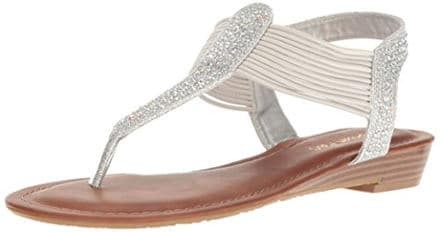 This Reef flip flop sandal features a glitter faux leather strap which feels soft and a soft cushion EVA foot-bed which has anatomical support. 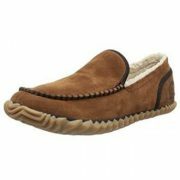 The outsole is made of rubber sponge which is flexible and durable. 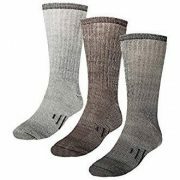 In addition, this product can be machine washed cold with some mild soap. Users like the fact that it is well made and very comfortable with the padding and support it provides. 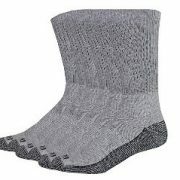 Besides, it is durable, forms to the feet and works well if you want to relieve foot and knee pain. 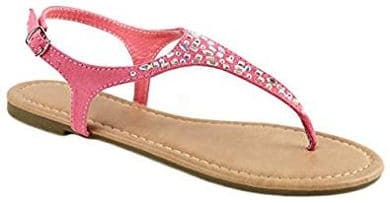 These rhinestone glitter sandals feature a wedge heel of approximately 3 inches, a platform of 1 inch, a rhinestone upper, a cushioned footbed and a rubber sole. 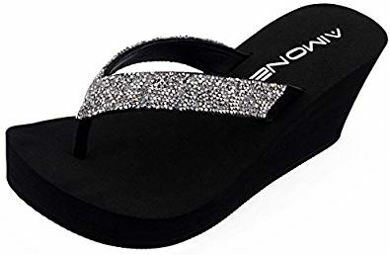 Users like the sparkle of these flop sandals and say that they are comfy and fit great. 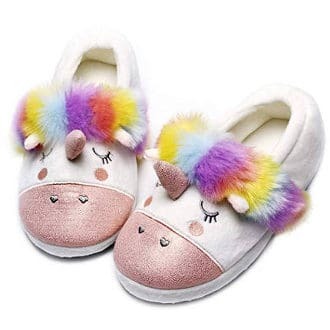 All in all, if you love sparkly summer shoes, the best glitter sandals for women in this review should have given you some nice options to think about.